On arriving in Tiverton we called in here, friendly bar staff and superb food, on the down side the place is sparse and would benefit greatly from a refurb. Been visiting Tiverton for years and never knew about this pub.Had a lovely bacon and cheese toastie with salad and crisps for £4.25! Highly recommend. Nice staff too. Warm welcome, good food and excellent service! Went to "The Fusion Project" event held in the private bar upstairs. Amazing event and atmosphere. Drinks reasonably priced and friendly chap on the bar. 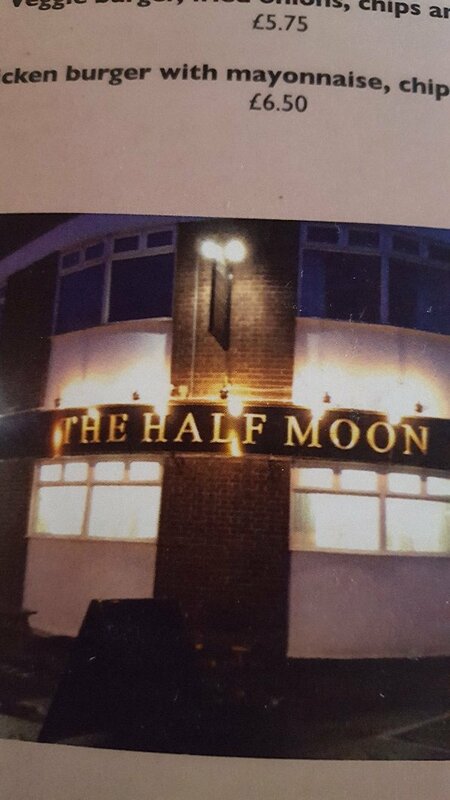 Get quick answers from Half Moon Public House staff and past visitors.